Carrara has a built-in physics engine which is very capable of calculating dynamic animations. Here’s how to setup a basic scene with physics. All we have to do next is to make our objects participate in the engine and have Carrara calculate the physics. 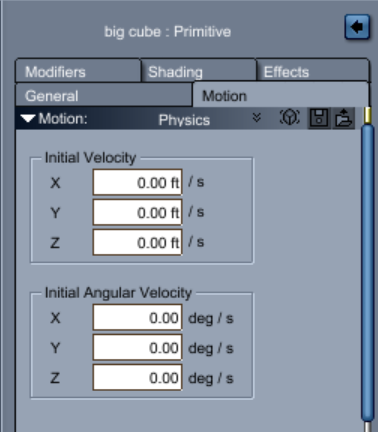 Select an object, then head over to Motion and change the drop down menu to Physics (it’s set to Keyframe by default). Here you can change the starting behaviour of your object, but the defaults work well for a quick test. Repeat this setup for every object you’d like to participate. 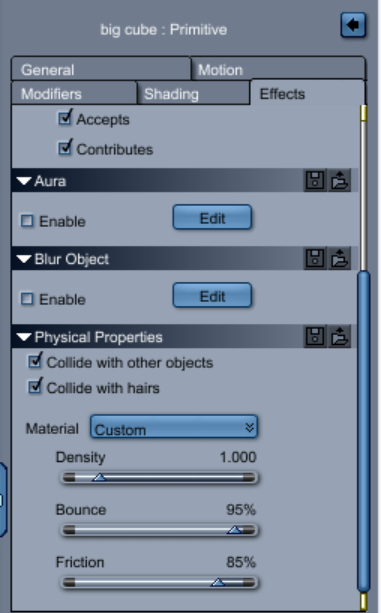 To change the properties of an object (such as weight, bounciness, etc) head over to the Effects tab and look for a section called Physical Properties. There are some materials to choose from (such as Clay, Ice, Metal, etc) or you can create your own based on Density, Bounce and Friction. Once setup, decide how long you’d like the simulation to be and adjust your animation duration accordingly. The default is 4 seconds, but you may be interested in events that happen beyond that. Simply drag the little yellow triangle in the timeline to change the duration. 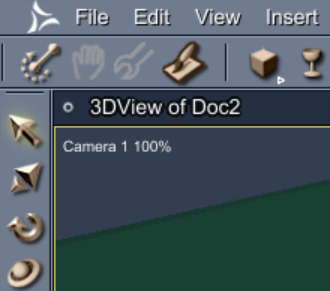 Now we need to ask Carrara to Simulate Physics by pressing that “bone dipped in sauce” icon on the far left side in the top bar, next to the greyed out hand icon. 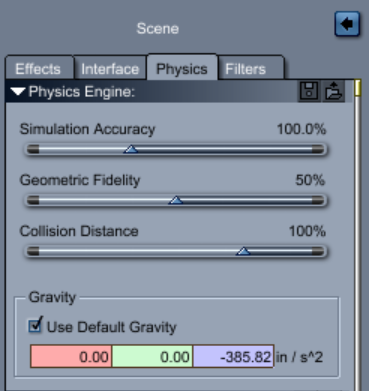 You need to do this every time you make a change to the scene or the objects that participate in the physics engine. Either move your timeline scrubber to a desired frame, or render the animation out.